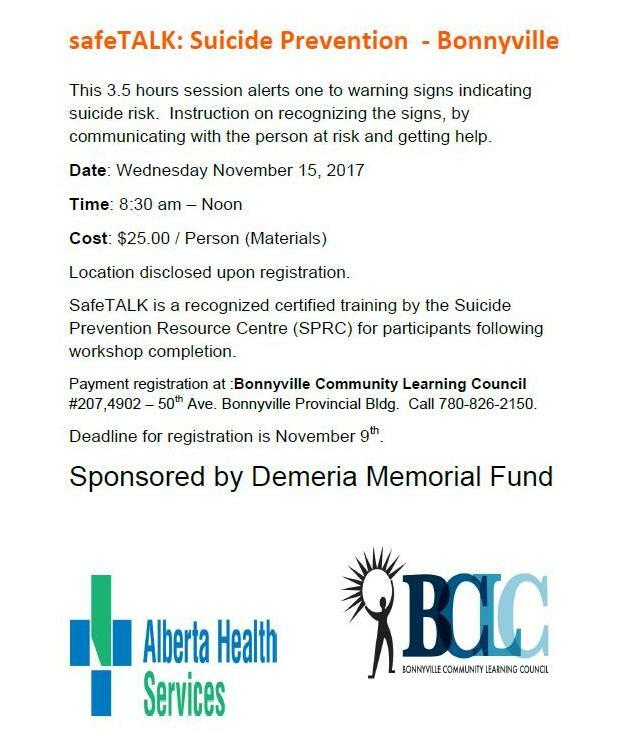 In partnership with Alberta Health Services, we are pleased to offer a 3 1/2 hour session called Safe Talk: Suicide Prevention, where we focus on recognizing the warning signs, communication strategies, and getting help for someone experiencing suicidal thoughts. 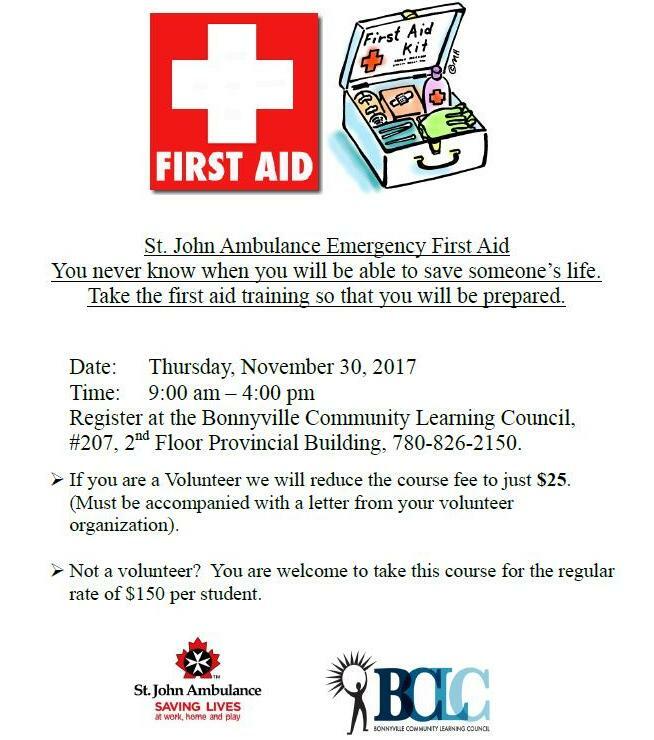 Come by the Bonnyville Community Learning Council and pay the $25 registration fee to secure your spot in this important workshop. Registration deadline Nov. 9, course date Nov. 15’17.